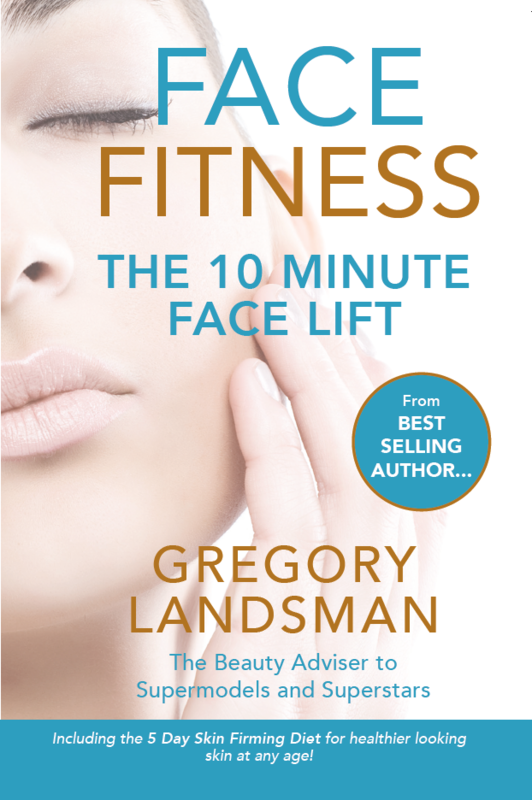 This Web site, www.gregorylandsman.com; www.glskinfitinstitute.com as and all other Web Sites owned, operated or maintained directly or indirectly by the GL SKINFIT INSTITUTE®, (‘the GL Sites’), are provided by the GL SKINFIT INSTITUTE®, for your information; for shopping purposes; and personal enjoyment, subject to these Terms and Conditions and all modifications hereto, in addition to all applicable laws and any other policies that may be posted from time to time on the GL Sites applicable to your use of the GL Sites, (as amended by GL SKINFIT INSTITUTE® from time to time, the foregoing being collectively referred to as the ‘Terms and Conditions’). By accessing the GL Sites, you agree to be bound by the Terms and Conditions. The Terms and Conditions may be updated from time to time. Accordingly, you should regularly check the Terms and Conditions as they appear on the ‘GL Sites’. If at any time you do not agree to the Terms and Conditions, please do not use the GL Sites. Your continued use of the GL Sites constitutes your agreement to these Terms and Conditions. As between GL SKINFIT INSTITUTE® and you, except for User Content (as defined below), GL SKINFIT INSTITUTE® has sole and exclusive ownership rights to all Content on the GL Sites, including, without limitation, trademarks, copyrights, trade secrets, trade names, logos, and other intellectual property rights thereto, as well as text, images, graphics, logos, typefaces, icons, audio, video and other material appearing on the GL Sites (GL SKINFIT INSTITUTE® Proprietary Material’). The compilation (meaning the collection, arrangement and assembly) of all GL SKINFIT INSTITUTE Proprietary Material on the ‘GL Sites’ is protected by international copyright laws. Copyright GL SKINFIT INSTITUTE®, ALL RIGHTS RESERVED. All software used on this site is the property of GL SKINFIT INSTITUTE® or its software suppliers and protected by international copyright laws. You acknowledge that the GL Sites contain Content, audio and video clips and software that are protected by copyrights, trademarks, or other intellectual property rights, and that these rights are valid and maybe protected in all forms, media and technologies which exist now or are developed in the future. All rights not expressly granted herein are reserved. Any unauthorised use of the materials appearing on the GL Sites may violate copyright, trademark and other applicable laws and could result in criminal or civil penalties. Except as otherwise provided in these Terms and Conditions, you may not use, publish, reproduce, display, create derivative works from, reverse engineer or decompile, distribute, copy, post, upload, transmit or modify the GL SKINFIT INSTITUTE® Proprietary Material or any portion thereof, for any purpose. You may, however, (i) print a copy of individual screens appearing as part of the GL Sites solely for your personal, non-commercial use or records, provided that any marks, logos, or other legends that appear on the copied screens remain on, and are not removed from the printed or stored images of such screens, and (ii) download material for your own personal, non-commercial use, provided that you agree to abide by any copyright notice or other restrictions contained in any material included or accessed through the GL Sites and include any author attribution, copyright or trademark notice or restriction in any such material that you download. As such you may not use such materials for any commercial purpose. Modification of the materials appearing on the GL Sites or use of such materials for any other purpose is a violation of GL SKINFIT INSTITUTE® copyright and other proprietary rights. GL SKINFIT INSTITUTE® or its subsidiaries, and other GL SKINFIT INSTITUTE® graphics, logos, page headers, button icons, scripts, and service names are trademarks or trade dress of GL SKINFIT INSTITUTE® or its subsidiaries. GL SKINFIT INSTITUTE® licensed trademarks and trade dress may not be used in connection with any product or service that is not GL SKINFIT INSTITUTE’S®, in any manner that is likely to cause confusion among customers, or in any manner that disparages or discredits GL SKINFIT INSTITUTE® and the ‘GL SKINFIT INSTITUTE® Brands’ represented on the GL Sites, including but not limited to the Gregory Landsman brand. We are not responsible if information made available on the GL Sites is not accurate, complete or current. The material on the GL Sites is provided for general information only and should not be relied upon or used as the sole basis for making decisions without consulting primary, more accurate, more complete or more timely sources of information. Any reliance on the material on the GL Sites is at your own risk. The GL Sites may contain certain historical information. Historical information necessarily is not current and is provided for your reference only. We reserve the right to modify the contents of the GL Sites at any time, but we have no obligation to update any information on the GL Sites. You agree that it is your responsibility to monitor changes to the GL Sites. Access to all GL Sites is permitted on a temporary basis, and we reserve the right to withdraw or amend the Services without notice. We will not be liable if for any reason any GL Site is unavailable at any time or for any period. From time to time, we may restrict access to some parts or all of any of the GL Sites. Where you register for any area of this Website or any of the GL Sites, the following terms and conditions apply. If you become a registered member and create an account on any of the GL Sites, you agree to be responsible for: (i) maintaining the confidentiality of passwords or other account identifiers which you choose and (ii) all activities that occur under such password or account identifiers. You must provide us with true and accurate registration information. You must keep any user name and password allocated to you confidential, and we are entitled to assume that anyone using that user name and password is you. You agree to notify GL SKINFIT INSTITUTE® of: (i) any loss of your password or account identifiers and (ii) any unauthorized use of your password or account identifiers. 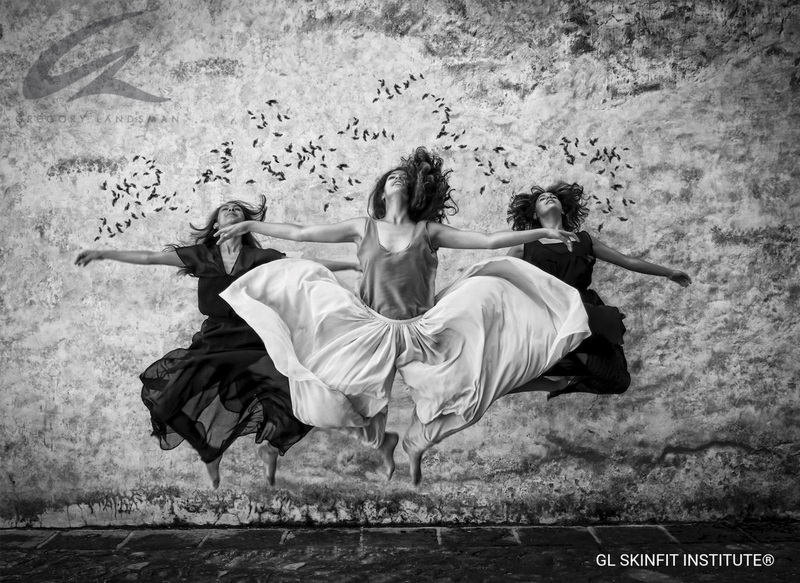 GL SKINFIT INSTITUTE® will not be responsible or liable, directly or indirectly, in any way for any loss or damage of any kind incurred as a result of, or in connection with, your failure to comply with this section of the Terms and Conditions. GL SKINFIT INSTITUTE® reserves the right to close accounts if you are seen to be using proxy IPs (Internet Protocol addresses) in order to attempt to hide the use of multiple accounts or disrupt any of our services in any way. B. By your posting information, data, text, music, sound, photographs, graphics, video, messages, or other materials on the GL Sites ("User Content") in or otherwise using any communications service, chat room, message board, newsgroup, software library, or other interactive service that may be available to you on or through the GL Sites from time to time, you agree that you are the sole responsible person and/or entity from which such User Content originated and you are 18 years old or the age of majority in your jurisdiction. Without limitation of the foregoing, you agree not to use the GL Sites to: (a) upload, post, e-mail, or otherwise transmit any User Content that is unlawful, harmful, threatening, embarrassing, abusive, harassing, tortious, defamatory, vulgar, obscene, libellous, deceptive, fraudulent, invasive of another's privacy, hateful, or contains explicit or graphic descriptions or accounts of sexual or violent acts (including, but not limited to, sexual language of a violent or threatening nature directed at another individual or group of individuals); (b) upload, post, e-mail, or otherwise transmit any User Content that victimizes, harasses, degrades, or intimidates an individual or group of individuals on the basis of any impermissible classification, including, without limitation, religion, gender, sexual orientation, race, colour, creed, ethnicity, national origin, citizenship, age, marital status, veteran status or disability; (c) harm any person in any way; (d) upload, post, e-mail, or otherwise transmit any User Content that infringes any patent, trademark, trade secret, copyright, or other intellectual or proprietary or privacy right of any party/individual; (d) upload, post, e-mail, or otherwise transmit any User Content that you do not have a right to transmit under any law or regulation or under any contractual or fiduciary relationship (such as insider information, intellectual, proprietary or confidential information learned or disclosed as part of employment relationships or under nondisclosure agreements); (e) upload, post, e-mail, or otherwise transmit any material that contains software viruses or any other computer code, files, or programs designed to interrupt, destroy, or limit the functionality of the GL Sites or any computer software or hardware or telecommunications equipment or any other similarly destructive activity; (f) interfere with or disrupt the GL Sites or servers or networks linked to the GL Sites, or disobey any requirements, procedures, policies, or regulations of networks linked to the GL Sites; (g) intentionally or unintentionally violate any applicable local, state, national, or international law, and any rules, regulations, orders, directives and the like having the force of law; (h) upload, post, e-mail, or otherwise transmit any material, or take any other actions with respect to your use of the GL Sites, that would constitute, or would otherwise encourage, criminal conduct or conduct that could give rise to civil liability; (i) use the GL Sites for commercial purposes, including, without limitation, submitting any material to solicit funds or to promote, advertise or solicit the sale of any goods or services; (j) solicit other guests of the GL Sites to become members of any commercial on line service or other online or offline group or organization;(k) impersonate others, including, without limitation, a GL SKINFIT INSTITUTE® employee, host, or representative, or other members or visitors on the GL Sites; or (l) harvest, collect or store information about the users of the GL Sites or the User Content or use such information for any purpose inconsistent with the purpose of the GL Sites or for the purpose of transmitting or facilitating transmission of unsolicited bulk electronic mail or communications. C. You acknowledge and agree that User Content you view or post on the GL Sites is posted, viewed and used by you at your own discretion and risk, including any reliance on the accuracy, completeness, or usefulness of such User Content. You further acknowledge and agree that the views expressed by you and other users do not necessarily reflect the views of GL SKINFIT INSTITUTE®, and GL SKINFIT INSTITUTE® does not support or endorse any User Content or any other content or otherwise posted by you or any other user. You acknowledge that GL SKINFIT INSTITUTE® does not pre-screen, monitor, review, or edit the User Content posted by you and other users on the GL Sites. However, GL SKINFIT INSTITUTE® and its designees have the right (but not the obligation) at their sole discretion to modify, refuse or remove any User Content, in whole or in part, that, in GL SKINFIT INSTITUTE’S® judgment, does not comply with these Terms and Conditions or is otherwise undesirable, inappropriate, or inaccurate. Any or all postings on or through the GL Sites may be purged periodically in GL SKINFIT INSTITUTE’S® sole discretion. GL SKINFIT INSTITUTE® is not responsible for any failure, non-failure, or delay in removing such User Content. In this regard, you acknowledge that you may not rely on any User Content available on the GL Sites, whether created by GL SKINFIT INSTITUTE® or submitted to the GL Sites. User Content includes the opinions, statements and other content of third parties, not GL SKINFIT INSTITUTE®. GL SKINFIT INSTITUTE® does not endorse any such opinions, statements or other content posted on or accessible through the GL Sites. GL SKINFIT INSTITUTE® does not assume any obligation or liability with respect to User Content and no confidential or fiduciary understanding or relationship is established by GL SKINFIT INSTITUTE’S® receipt or acceptance of any such materials. D. Any User Content submitted by you to the GL Sites will be deemed non-proprietary and non-confidential and may be used by GL SKINFIT INSTITUTE® without restriction. You shall be solely responsible for any User Content submitted by you to the GL Sites and the consequences of posting or publishing such Content. In connection with your User Content, you affirm, represent, and warrant that: (i) you own or have the necessary licenses, rights, consents, and permissions to grant GL SKINFIT INSTITUTE® the rights discussed below; and (ii) you have the written consent, release, and/or permission of each and every identifiable individual person in your User Content to grant GL SKINFIT INSTITUTE® the rights discussed below. By submitting or sending information, material, or any other communication to GL SKINFIT INSTITUTE® including User Content, you grant GL SKINFIT INSTITUTE® the royalty-free, unrestricted, world-wide, perpetual, irrevocable, non-exclusive, and fully transferable, assignable, sub-licensable right and license to use, reproduce, modify, adapt, publish, translate, create derivative works from, distribute, perform, post or display such User Content (in whole or in part) and/or to incorporate it in other works in any form, media (including but not limited to the GL Sites), or technology now known or later developed for any purpose, including, without limitation, reproduction, transmission, publication, broadcast and posting. GL SKINFIT INSTITUTE® and its affiliates may use or otherwise transfer or dispose of any and all User Content without restriction and users of the GL Sites shall not be entitled to any compensation whatsoever for any such use, transfer or disposition of User Content by GL SKINFIT INSTITUTE®. E. You understand that the technical processing and transmission of the GL Sites may involve (a) transmissions over various networks; and (b) changes to conform and adapt to technical requirements of connecting networks or devices. GL SKINFIT INSTITUTE® assumes no responsibility for the deletion or failure to store postings or other information submitted by you or other users to the GL Sites. F. Product usage - no information or product featured within or sold through the ‘GL Sites’ is intended to be used as medical advice or medical treatment and is not intended to be used to diagnose, treat, cure or prevent any medical condition or for any therapeutic purposes. Before relying on the information on any GL Sites, you should carefully evaluate the accuracy and relevance of the information for your individual purposes and obtain appropriate professional medical advice. By way of example, articles are for educational and entertainment purposes only and are not intended as a substitute or replacement for professional medical advice, diagnosis, treatment, or rehabilitation. You may be able to link to third party Web Sites ("Linked Sites") from the GL Sites. GL SKINFIT INSTITUTE® is not responsible for the content, availability, advertising, products, services or other materials of any such Linked Sites, or any additional links contained therein. GL SKINFIT INSTITUTE® cannot ensure that you will be satisfied with any products or services that you purchase from Linked Sites, since such Sites are owned and operated by independent third parties. GL SKINFIT INSTITUTE® does not make any representations or warranties as to the security of any information you might be requested to give to any third party. It is your sole responsibility to comply with the appropriate terms of service of the Linked Sites as well as with any other obligation under copyright, secrecy, defamation, decency, privacy, security, export and other laws related to the use of such Linked Sites and any content contained thereon. In no event shall GL SKINFIT INSTITUTE® be liable, directly or indirectly, to you or any other person or entity for any loss or damage arising from or occasioned by the creation or use of the Linked Sites or the information or material accessed through these Linked Sites. You should direct any concerns to the administrators or webmasters of these respective Linked Sites. GL SKINFIT INSTITUTE® reserves the exclusive right, at its sole discretion, to add, change, decline, or remove, without notice, any feature or link to any of the Linked Sites from the GL Sites and/or introduce different features or links to different users. Other Sites may link to the GL Sites only through a plain-text link subject to the prior written approval of an authorized employee of GL SKINFIT INSTITUTE®. To seek our permission, please contact us through one of the methods described on our CONTACT page. GL SKINFIT INSTITUTE® reserves the right to rescind any permission granted by us to link through a plain-text link or any other type of link, and to require termination of any such link to the GL Sites, at our discretion, with or without cause, at any time. VISITORS TO THE GL SITES AGREE THAT THEIR USE OF THE GL SITES IS AT THEIR OWN SOLE RISK. THE GL SITES ARE PROVIDED ‘AS IS’ AND ‘AS AVAILABLE’, WITHOUT WARRANTY OF ANY KIND, EITHER EXPRESS OR IMPLIED. WITHOUT LIMITATION OF THE FOREGOING, GL SKINFIT INSTITUTE® (INCLUDING ITS AFFILIATES, DISTRIBUTORS, THIRD PARTY CONTENT PROVIDERS, MERCHANTS, SPONSORS, LICENSORS AND THE LIKE, AND THEIR RESPECTIVE DIRECTORS, OFFICERS AND EMPLOYEES) SPECIFICALLY DISCLAIMS ANY AND ALL WARRANTIES, INCLUDING, BUT NOT LIMITED TO: (i) ANY WARRANTIES CONCERNING THE AVAILABILITY, ACCURACY, APPROPRIATENESS, RELIABILITY, TIMELINESS, OR USEFULNESS OF THE CONTENT OF THE GL SITES; AND (ii) ANY WARRANTIES OF TITLE, WARRANTY OF NON-INFRINGEMENT, OR WARRANTIES OF MERCHANTABILITY OR FITNESS FOR A PARTICULAR PURPOSE. GL SKINFIT INSTITUTE® ALSO MAKES NO REPRESENTATIONS AND WARRANTIES AS TO ANY LINKED SITES AND GL SKINFIT INSTITUTE® HAS NO LIABILITY OR RESPONSIBILITY WITH RESPECT TO YOUR USE OF SUCH SITES. IN SOME INSTANCES, CONTENT MADE AVAILABLE ON THE GL SITES MAY REPRESENT THE OPINIONS AND JUDGMENTS OF PROVIDERS OR USERS, SUCH AS USER CONTENT. GL SKINFIT INSTITUTE® AND ITS AFFILIATES DO NOT ENDORSE NOR SHALL THEY BE RESPONSIBLE OR LIABLE FOR THE ACCURACY OR RELIABILITY OF ANY OPINION, ADVICE OR STATEMENT MADE ON THE GL SITES BY ANYONE OTHER THAN AUTHORIZED GL SKINFIT INSTITUTE® EMPLOYEES ACTING IN SUCH CAPACITY. THIS DISCLAIMER OF LIABILITY APPLIES TO ANY DAMAGES OR INJURIES CAUSED BY THE GL SITES, INCLUDING, WITHOUT LIMITATION, THOSE DAMAGES OR INJURIES OCCURRING AS A RESULT OF: (I) ANY ERROR, OMISSION, DELETION, OR DEFECT IN THE CONTENT AVAILABLE ON THE GL SITES, OR (II) ANY FAILURE OF PERFORMANCE, ERROR, OMISSION, INTERRUPTION, DELETION, DEFECT, DELAY IN OPERATION OR TRANSMISSION, COMPUTER VIRUS, COMMUNICATION LINE FAILURE, THEFT OR DESTRUCTION OF RECORDS, INFORMATION OR DATA, UNAUTHORIZED ACCESS TO, ALTERATION OF, OR USE OF RECORDS, INFORMATION OR DATA, WHETHER FOR BREACH OF CONTRACT, TORT, NEGLIGENCE, DEFAMATION, OR ANY OTHER CAUSE OF ACTION. GL SKINFIT INSTITUTE® DOES NOT WARRANT OR GUARANTEE: (I) THAT ANY PORTION OF THE GL SITES WILL BE FREE OF INFECTION BY VIRUSES, WORMS, TROJAN HORSES, OR ANYTHING ELSE MANIFESTING CONTAMINATING OR DESTRUCTIVE PROPERTIES; OR (II) THAT ACCESS TO THE GL SITES WILL BE UNINTERRUPTED OR ERROR-FREE. GL SKINFIT INSTITUTE® DOES NOT WARRANT OR MAKE ANY REPRESENTATIONS REGARDING THE USE OR THE RESULTS OF USE OF THE MATERIALS AVAILABLE ON THE GL SITES. YOU (AND NOT GL SKINFIT INSTITUTE® OR ANY OF ITS AFFILIATES) ASSUME THE ENTIRE COST OF ALL NECESSARY SERVICING, REPAIR, OR CORRECTION. GL SKINFIT INSTITUTE® WILL NOT BE LIABLE FOR ANY DAMAGES OF ANY KIND ARISING FROM THE USE OF THIS SITE, OR FROM ANY PRODUCTS PURCHASED FROM THIS SITE, INCLUDING BUT NOT LIMITED TO DIRECT, INDIRECT, INCIDENTAL, PUNITIVE AND CONSEQUENTIAL DAMAGES. NO ORAL ADVICE OR WRITTEN INFORMATION GIVEN BY GL SKINFIT INSTITUTE® NOR ITS AFFILIATES, NOR ANY OF THEIR OFFICERS, DIRECTORS, EMPLOYEES, AGENTS, PROVIDERS, OR THE LIKE, SHALL CREATE A WARRANTY OR LEGAL OBLIGATION; NOR SHALL USER RELY ON ANY SUCH INFORMATION OR ADVICE. GL SKINFIT INSTITUTE® RESERVES THE RIGHT TO CHANGE ANY ADVERTISED PRICE BEFORE ACCEPTING AN ORDER. ALL PRODUCTS ARE SUBJECT TO AVAILABILITY AND MAY BE WITHDRAWN AT ANY TIME. All information supplied has no warranty whatsoever. Information and statements are not intended to diagnose, treat, cure, or prevent any medical condition or for any therapeutic purpose; and are not intended as a substitute or replacement for professional medical advice, diagnosis, treatment, or rehabilitation. No warranty is made that any information on or linked to the GL Sites is complete and/or accurate. All information contained on the GL Sites, including information relating to health conditions, products and treatments, is for informational purposes only. It is often presented in summary or aggregate form. Professional advice is required for each particular condition, medical or otherwise. Information on the GL Sites is not to be taken as any sort of medical advice whatsoever. Before relying on the information on any GL Sites, you should carefully evaluate the accuracy and relevance of the information for your individual purposes and obtain appropriate professional medical advice. You take full and total responsibility for what you do with any information sourced from the GL Sites, and the use of the products sold through the GL Sites and any resulting outcomes from your actions. The information contained in the GL Sites or on product packaging or labels is not intended nor is it implied to be a substitute for professional medical advice. Always seek the advice of your General Practitioner, other medical practitioner or qualified health provider with any questions you may have regarding yours or any other party's medical condition. Nothing contained in the service is intended to be or should be taken for medical diagnosis or treatment. Product images displayed are for representation purpose only. Actual product may differ from images shown. Except as expressly stated herein, GL SKINFIT INSTITUTE® makes no representations or warranties, either express or implied, of any kind with respect to products sold on the GL Sites. You agree that the sole and exclusive maximum liability to GL SKINFIT INSTITUTE® arising from any product sold on the GL Sites shall be the price of the product ordered. In no event shall GL SKINFIT INSTITUTE® its directors, officers, employees and representatives be liable for special, indirect, consequential or punitive damages related to product sold. You expressly agree that use of the GL Sites is at your sole risk. In no event will GL SKINFIT INSTITUTE®, its directors, officers, employees, distributors and representatives, third-party content providers or the like warrant that the site will be uninterrupted or error-free. In addition GL SKINFIT INSTITUTE®, does not make any warranty as to the results that may be obtained from the use of the GL Sites, or use of the information, content, service, or products provided through the GL Sites. YOU ACKNOWLEDGE AND AGREE THAT YOU ASSUME FULL RESPONSIBILITY FOR YOUR USE OF THE GL SITES. YOU ACKNOWLEDGE AND AGREE THAT ANY INFORMATION YOU SEND OR RECEIVE DURING YOUR USE OF THE GL SITES MAY NOT BE SECURE AND MAY BE INTERCEPTED BY UNAUTHORIZED PARTIES. YOU ACKNOWLEDGE AND AGREE THAT YOUR USE OF THE GL SITES IS AT YOUR OWN RISK AND THAT THE GL SITES ARE MADE AVAILABLE TO YOU AT NO CHARGE. RECOGNIZING SUCH, YOU ACKNOWLEDGE AND AGREE THAT, TO THE FULLEST EXTENT PERMITTED BY APPLICABLE LAW, REGARDLESS OF THE FORM OF ACTION, WHETHER IN CONTRACT, TORT OR OTHERWISE, IN NO EVENT WILL GL SKINFIT INSTITUTE® OR ITS AFFILIATES, INCLUDING, WITHOUT LIMITATION, THEIR RESPECTIVE OFFICERS, DIRECTORS, EMPLOYEES, SUCCESSORS AND ASSIGNS, BE LIABLE TO ANY PARTY FOR: (i) ANY INDIRECT, SPECIAL, EXEMPLARY, PUNITIVE, INCIDENTAL, CONSEQUENTIAL (INCLUDING, BUT NOT LIMITED TO, DAMAGES FOR BUSINESS INTERRUPTION, LOSS OF BUSINESS AND OTHER PROFITS, LOSS OF PROGRAMS, COST OF REPLACING EQUIPMENT OR SOFTWARE OR LOSS OF RECORDS, INFORMATION OR DATA), OR ANY OTHER DAMAGES ARISING IN ANY WAY OUT OF THE AVAILABILITY, USE, RELIANCE ON, OR INABILITY TO USE THE GL SITES, EVEN IF GL SKINFIT INSTITUTE® SHALL HAVE BEEN ADVISED OF THE POSSIBILITY OF SUCH DAMAGES; OR (ii) ANY CLAIM ATTRIBUTABLE TO ERRORS, OMISSIONS, OR OTHER INACCURACIES IN, OR DESTRUCTIVE PROPERTIES OF THE GL SITES. BECAUSE SOME JURISDICTIONS DO NOT ALLOW THE EXCLUSION OR THE LIMITATION OF LIABILITY FOR CONSEQUENTIAL OR INCIDENTAL DAMAGES, IN SUCH JURISDICTIONS, GL SKINFIT INSTITUTE® LIABILITY SHALL BE LIMITED TO THE EXTENT PERMITTED BY LAW (THEREBY MINIMIZING GL SKINFIT INSTITUTE® LIABILITY TO YOU TO THE LOWEST AMOUNT THAT APPLICABLE LAW PERMITS). PLEASE NOTE THAT WE MAY CHANGE THESE TERMS AND CONDITIONS FROM TIME TO TIME TO CONFORM TO CHANGES IN THE LAW OR FOR OTHER REASONS, WHICH WE RESERVE THE RIGHT TO DO WITHOUT YOUR CONSENT AND SUCH REVISED TERMS AND CONDITIONS WILL BE APPLICABLE AT THE TIME OF POSTING ON THE GL SITES. YOUR CONTINUED USE OF THE GL SITES FOLLOWING THE POSTING OF CHANGES TO THESE TERMS AND CONDITIONS MEANS YOU ACCEPT THE CHANGES. Damages for loss of profits, revenue, goodwill, anticipated savings or loss or corruption of data, whether in contract, tort (including negligence), in equity, under statute, under an indemnity, based on fundamental breach or breach of a fundamental term or on any other basis, whether or not such loss or damage was foreseeable and even if advised of the possibility of the loss or damage. All express or implied guarantees, warranties, representations, or other terms and conditions relating to these Terms and Conditions or their subject matter, not contained in these Terms and Conditions, are excluded from these Terms and Conditions to the maximum extent permitted by law. You agree that any cause of action or claim that you may have with respect to your use of the GL Sites must be commenced within one year after the act or omission giving rise to the claim or cause of action arose. GL SKINFIT INSTITUTE® failure to insist upon or enforce any provision of these Term and Conditions shall not be construed as a waiver of any provision or right of GL SKINFIT INSTITUTE®. GL SKINFIT INSTITUTE® may assign its rights under these Terms and Conditions to any party at any time without notice to you, however, any rights and licenses granted hereunder, may not be transferred or assigned by you. All ‘GL sites’ customers have the option of creating an account before they place an order on one of the GL sites. A customer’s account is recognised by their email address. Customers must notify us if their email address changes so we can transfer all relevant information to their new account. Access to their account requires a password. It is the customer’s responsibility to create a strong password; keep their password confidential and change their password if they believe it has been revealed to a third party. The customer is responsible for all actions on their account and for maintaining their personal information accurately. GL SKINFIT INSTITUTE® and its product distribution agents do not sell products to children, but sell them to adults, who can purchase with a credit card, debit card or via PayPal. If you are under 18, you may use the GL sites only with involvement of a parent or guardian. GL SKINFIT INSTITUTE® and its affiliates reserve the right to refuse service, terminate accounts, remove or edit content, or cancel orders at their sole discretion. Under this agreement, the payment processing services for goods and/or services purchased on this website are provided by PayPal on behalf of the GL SKINFIT INSTITUTE® and its agents. In the event you choose to pay with credit card and the payment is be processed via PayPal, these terms are an agreement between you and PayPal. For any other type of payments, these terms are an agreement between you and GL SKINFIT INSTITUTE® and its product distribution agents, and goods and/or services will be delivered directly. 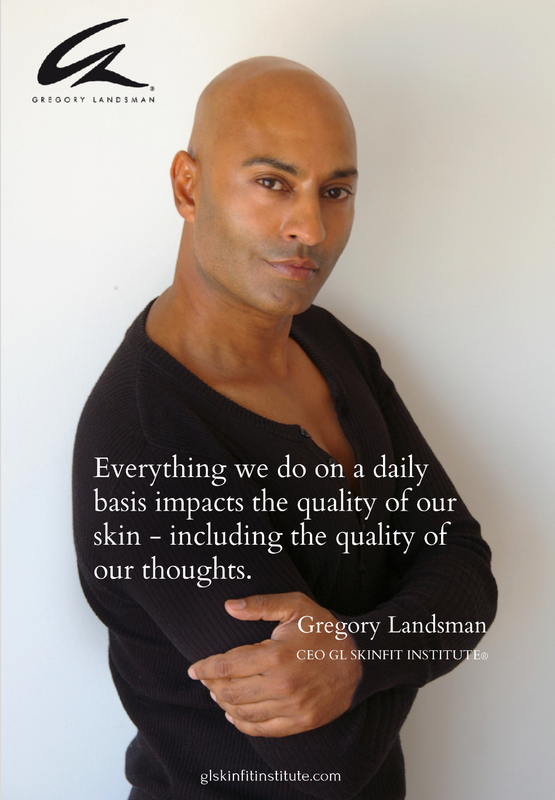 GL SKINFIT INSTITUTE®, its product distribution agents and affiliates attempt to be as accurate as possible. However, GL SKINFIT INSTITUTE® and its product distribution agents do not warrant that product descriptions or other content of the GL sites is accurate, complete, reliable, current, or error-free. If a product offered within the GL sites is not as described, your sole remedy is to return it in unused condition. By placing an order for any goods on one of the GL sites you are offering to purchase the goods on and subject to the following terms and conditions. All orders are subject to availability and confirmation of the order price. Dispatch times are generally within 24-48 hours, but may vary according to availability and any guarantees or representations made as to delivery times are subject to any delays resulting from postal delays or force majeure for which we will not be responsible. When placing an order you undertake that all details you provide to us are true and accurate, that you are an authorised user of the credit or debit card or PayPal account used to place your order and that there are sufficient funds to cover the cost of the goods. All prices advertised are subject to change. When you place an order, you will receive an acknowledgement e-mail confirming receipt of your order. This email will only be an acknowledgement and will not constitute acceptance of your order. A contract between us for the purchase of the goods will not be formed until your payment has been approved and your credit or debit card or PayPal account has been debited. Whilst we try and ensure that all details, descriptions and prices, which appear on the GL sites are accurate, errors may occur. If we discover an error in the price of any goods that you have ordered we will inform you of this as soon as possible and give you the option of reconfirming your order at the correct price or cancelling it. If you cancel and you have already paid for the goods, you will receive a full refund. Delivery costs will be charged in addition; such additional charges are clearly displayed where applicable and included in the 'Total Cost'. All goods ordered are subject to GST in Australia, the amount of which will be disclosed on your invoice. Orders are subject to acceptance by us. Acceptance (or rejection) of an order will be notified to you as part of the ordering procedure. Acceptance and continued access to our service is always subject to payment first being made by you. By placing an order, you make an offer to purchase the relevant product/s subject of your order. Please contact our Customer Service Team at contact@glskinfitinstitute.com if you have any questions about invoicing and payment for goods. We expect that we will use PayPal payment gateway or a similar service for most financial transactions. If we are not able to access your credit card or other financial details, you agree that we will not be held liable for any loss you incur arising from your use of this payment method unless caused by our fraud or the fraud of our employees. We reserve the right to terminate your access to our service for any misuse of the ordering system. Promotional discount codes - we may from time to time offer promotional discount codes, which may apply in respect of any, or certain specified, purchases made though the GL sites. You agree that GL SKINFIT INSTITUTE® may send notices to you regarding your use of the GL Sites by means of electronic mail, a general notice posted on the GL Sites or by written communication delivered either by overnight courier or mail to your email or mailing address as appearing in GL SKINFIT INSTITUTE® records from time to time. You agree that all agreements, notices, disclosures and other communications that we provide to you electronically satisfy any legal requirement that such communications be in writing. These Terms and Conditions constitute the entire agreement between you and GL SKINFIT INSTITUTE® and govern your use of the GL Sites. We reserve the right to use third party providers in the provision of the GL Sites and/or the goods, services and/or materials associated therewith. Any and all rights not expressly granted herein are reserved by GL SKINFIT INSTITUTE®. Except where otherwise specified, GL SKINFIT INSTITUTE® may deliver notice to you by means of electronic mail, a general notice on the GL Sites or by other reliable method. Please review our other policies, all contained under Customer Service, posted on this site. These policies also govern your visit to the GL Sites. We reserve the right to make changes to the GL Sites, policies, and these Terms and Conditions of use at any time. If any of these conditions shall be deemed invalid, void, or for any reason unenforceable, that condition shall be deemed severable and operable to the extent permitted under the law, and shall not affect the validity and enforceability of any remaining condition. Regarding the use of deep-link, page-scrape, robot, crawl, index, spider, click spam, macro programs, Internet agent, or other automatic device, program, algorithm or methodology which does the same things, to use, access, copy, acquire information, generate impressions or clicks, input information, store information, search, generate searches, or monitor the GL Sites or any portion thereof. We will have the right to investigate and prosecute violations of any of the above to the fullest extent of the law. We may involve and cooperate with law enforcement authorities in prosecuting users who violate the Terms and Conditions. You acknowledge that we have no obligation to monitor your access to or use of the Website or to review, monitor or edit any information or materials submitted by users, but that GL SKINFIT INSTITUTE® has the right to do so for the purpose of managing the GL Sites, to ensure your compliance with the Terms and Conditions, or to comply with applicable law or the order or requirement of a court, administrative agency or other governmental body. We reserve the right, at any time and without prior notice, to remove or disable access to any user account or profiles, at our sole discretion, if we consider it to be objectionable for any reason, in violation of the Terms and Conditions or otherwise harmful to the GL Sites. We are not responsible for any typographical errors or inaccuracies set forth in the GL Sites. The information, prices, and any promotional discounts set forth herein are subject to change without notice. Please feel free to contact us via one of the methods described on the CONTACT page or send correspondence to one of the addresses below.